There are many misconceptions about alternatives. Investors either have wrong assumptions concerning their nature and function in individual portfolios, or their availability, thinking alts are not affordable and available only to ultra-high-net-worth individuals or institutions. Due to these, and many other mistaken assumptions, investors are hesitant to include them in their portfolios. In this article, we’ll debunk the most popular myths about alternatives, and shed some light on the important role they should play in almost every investor’s portfolio. Myth Number 1: Alternative Investments are more volatile than stocks and bonds and should be used only by aggressive investors. Fact: This heavily depends on the type of investment, but generally speaking, majority of alternatives are subject to significantly lesser amount of volatility compared to the instruments on the stock market. The ‘hedged’ portfolio idea began when farmers sold part of their crop in the futures market, locking in a price for part of their harvest to reduce the potential for price volatility (up or down) in the future. The inherent nature of a long/short portfolio is the idea of it being hedged in the same manner, with the shorts helping to reduce volatility by capturing reducing downside movements. Some firms will also take a less active approach to hedging by going to cash. Firms like SMArtX now provide the transparency required to effectively hedge a portfolio. The use of SMAs provides the information needed to understand short exposures, and overall portfolio exposure, and well as know available cash. Myth Number 2: Alternative investments are a special, standalone asset class, and all alternative investment strategies are one and the same. Fact: Contrary to the myth above, alternatives are versatile and can significantly differ concerning their risk/return characteristics. Their level of correlation to one another, as well as to traditional investment vehicles, is quite low, which is why it’s can be beneficial to allocate to different alternative investment strategies. Also, they aren’t simply a “special, standalone asset class“. Many of the most well-known alternatives [hedge funds, private equity] invest in securities or other instruments that are familiar to advisors such as equities, bonds, options, and futures. The big differentiator is the timing of the investment in the life cycle of the underlying company and the way the investment is managed. Some investors do not look at whether a manager is ‘alternative’ or not, but rather will find a manager that runs equities. They will consider the risk/reward profile of the firm and make their decisions based on the manager that best suits their investment objective. Using a turnkey asset management platform that provides the transparency and the easy allocation/liquidation of investment strategies helps advisors to easily manage this process and gives them the understanding needed to holistically manage a client’s entire investment portfolio. Myth Number 3: Investing in one alternative fund will diversify and reduce the risk levels in my portfolio. Fact: Investing in just one extra stock or just one extra bond does not mean diversification and the same goes for alternatives: to reap the benefits of a truly diversified portfolio, an investor should either invest in a selected group of individual strategies, or in a multi-strategy vehicle, consisting of multiple and varied strategies. Options that provide better diversification through exposure to different alternative strategies are usually the latter one, but it’s worth mentioning that it also comes with slightly higher fees due to the multiple investment structures typically required to facilitate such an investment. However, platforms such as SMArtX remove the structural inefficiencies that reduce the return and drive up the expenses of these products. By enabling an advisor to open a brokerage account and simply choose which strategies they would like to be executed directly into that account, it is possible to have a multi-strategy portfolio consisting of both traditional and alternative strategies without the burden of a multi-layer investment structure and all the associated fees. To effectively reduce the risk and potentially increase the performance of an individual portfolio, many investment firms recommend 10-30% allocation to alternative strategies. Myth Number 4: All alternatives provide very low levels of liquidity. Fact: Liquidity levels vary between different alternative investment categories, ranging from daily liquidity to longer than 10 years. Generally speaking, the lower the liquidity, the higher the illiquidity premium, implying a greater return on an individual investment. Recently pressure has come on the alternative industry to reduce lock ups on strategies that do not require it. Whereas some strategies need a long lock up, such as distressed debt, real estate development, and structured products, other strategies that simply invest in electronically traded securities have seen liquidity terms greatly reduced. This has led to the most liquid of all investment vehicles, a separately managed account. 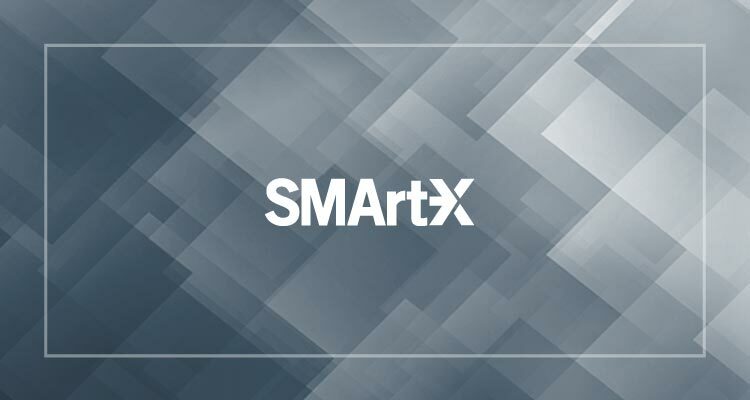 By developing real-time technology, SMArtX is now able to offer SMAs with intra-day liquidity on all of its strategies. This flexibility is unmatched, even by alternative mutual funds, which can trade daily, and suffer from the increased regulatory restrictions that can severely limit manager’s operational flexibility. Myth Number 5: Alternative investments are geared towards ultra-high-net-worth individuals only. Fact: Gone are the days when only the ultra-rich could afford to pay high fees and fulfill the minimum investment requirements necessary to partake in alternative investments. Nowadays, there are multiple options available to individual investors, as well as professional managers, across a wide range of risk levels. All this was made available due to innovation in product structures and the advancement of Fintech, such as SMArtX. For $30,000, investor scan open accounts on SMArtX and access investment strategies with minimums starting at $5,000. Myth Number 6: Hedge funds have to show positive returns consistently over multiple calendar years, otherwise they can’t shield investors during the financial turmoil. Although hedge funds provide protection from the adverse effects of traditional market declines, they don’t always show positive returns. For example, in 2008, most of the hedge fund strategies were all down, but compared to the S&P, it was significantly less so. This means they indeed have provided a cushioning effect for the investors. The idea of ‘absolute returns’ is misguided as there is really no such thing. Every return stream is in some way or another linked to a facet of the market in which it exists. Even strategies that are more correlated than others, such as market neutral, will be subject factors that affect markets, from interest rates, geopolitical events, and even Presidential tweets. Myth Number 7: Alternatives are too expensive. The fees for alternatives depend on the fund’s structure. There are basically two types of fees: management and performance. Management fees based on the assets invested in a given strategy as a certain point in the year. Some firms will assess fees once a year, whereas other may do it quarterly or even monthly. Performance fees, on the other hand, are directly linked to the performance of a particular strategy over a given time frame. This is typically yearly, but can also be assessed quarterly or monthly. These types of fees can also have certain parameters, such as a hurdle rate or ‘high water mark’ that help to align investors and asset manager interests. These performance fees can only be charged in certain structures, and to certain types of investors. More and more, we are seeing downward fee pressure on managers. Whereas the standard used to be “2 and 20” for hedge funds, we have seen that drop to 1.50% and 18% on average. Some structures, such as SMArtX, have even done away with performance fees altogether, and lowered management fees to 1.50%. The scalability and distribution of a platform such as SMArtX is making manager realize that there is a market out there that they cannot reach in their current form. With the relatively high fees, investor restrictions, and lack of transparency inherent to many hedge funds, SMArtX is changing the way with which people invest in alternatives. Alternative strategies have been around for hundreds of years, starting with farmers hedging their market exposure by locking in prices before the harvest is done. As technology, markets, and ingenuity developed over time, strategies and the vehicles constructed to access them became more and more complex and expensive. However, the pendulum has now swung in the opposite direction. Platforms like SMArtX are eliminating the need for theses complex structures, making alternatives far less daunting. The added transparency helps investors to fully understand the true nature of an alternative strategy and see in real time how they are able to mitigate market risk and protect assets. The lower fees make them far more attractive, even during wild bull markets, but especially during sharp market drops. Investors familiar with alternatives have used them to preserve wealth, not necessarily to grow it, and now advisors can have those same tools available for their clients through SMArtX.